A 2014 law known as S.B. 54 expanded access to the primary ballot, but it’s also divided those who prefer caucuses over direct elections. Four years later, Republicans are still arguing about the caucus-convention system and its future. Every other spring, political parties hold neighborhood caucus meetings where members elect delegates to represent them at county and state party conventions. Delegates are tasked with vetting candidates and voting for who they think will best represent their neighbors’ interests. “There’s a kind of romantic attraction to it,” said Chris Karpowitz, a political science professor at Brigham Young University who researches caucuses. “This idea that neighbors are going to meet together and they’re going to make decisions about their representatives. That the delegates will be able to make a very informed decision. That’s a compelling idea,” Karpowitz said. No one loves those ideas more than Phill Wright. 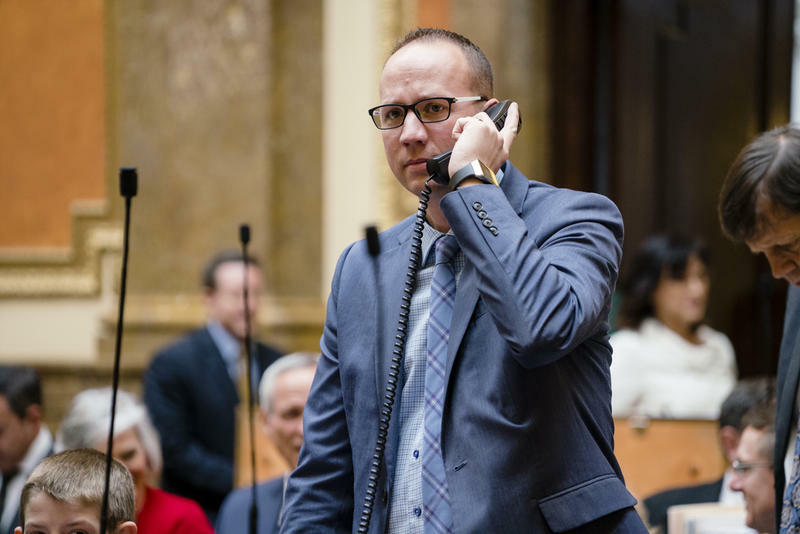 He’s an active Utah Republican, and on caucus night last month, he was buzzing. Republican Phill Wright speaks at his neighborhood caucus. “The caucus system is so incredible because it levels the playing field,” in terms of money and name recognition, he said. Wright, who is a delegate and running for the state legislature, argues that in a caucus system, candidates focus on meeting with delegates and answering tough questions instead of spending money on ads and quick meet-and-greets. Many Republicans attribute the success of Congresswoman Mia Love to the caucus. As a California native, Wright said he loves the grassroots political involvement Utah’s caucus system allows. And Wright credits the caucus with Utah’s consistent ranking near the top of best-managed states. 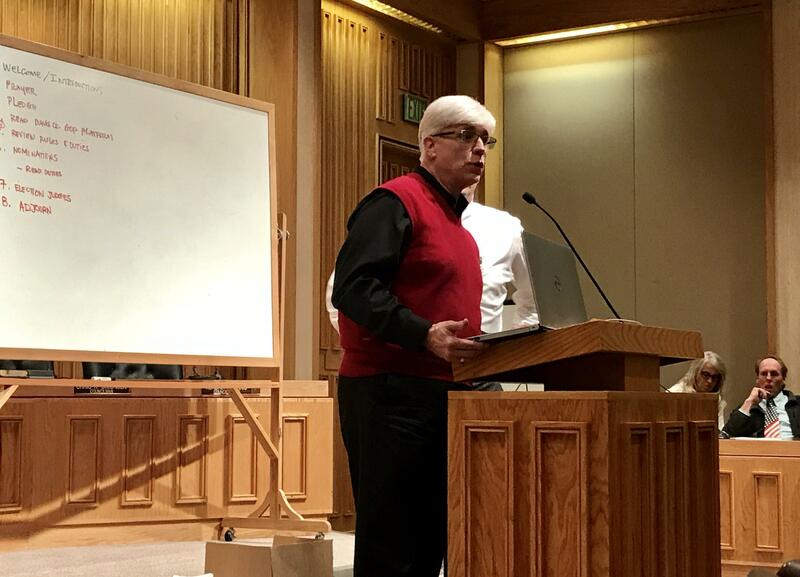 But Wright and other Republicans worry that Utah’s neighborhood caucus meetings could disappear. “If we lose that system, it’s going to change everything,” he said. The first blow came a few years ago, when a group called Count My Vote proposed doing away with caucuses in favor of direct primary elections. In 2014, Count My Vote came to an agreement with the legislature that kept the caucus, but provided an additional path to the primary ballot for candidates who want to skip the convention. Those candidates can gather signatures instead, or opt to do both signatures and the convention. This year, Count My Vote is back with a ballot initiative to cement the dual-path system. After years of court battles and legislative attempts to change it, Count My Vote wants voters to weigh in. “Assuming it gets on the ballot, which I believe it will, and assuming it passes, which I also believe it will, then it would tend to keep the legislature from changing it,” said Val Oveson, a Republican former lieutenant governor and Count My Vote supporter. Oveson admits that he’s benefited politically from the caucus-convention system in the past, but he believes elections work best when they’re as accessible as possible. The dual-path election law compromise has been a simmering disagreement among Utah Republicans since 2014. In 2018, that argument has come to a rolling boil. After years of court battles, including another loss at a federal appeals court just last month, the Utah GOP was saddled with hundreds of thousands of dollars in legal debt. That has split the party between those who want to keep fighting, and those who want to move on. Oveson says he’s in the second camp. And he’s noticed that longtime party donors have stopped giving. In the most recent legal defeat, other Republicans, including Phill Wright, saw a silver lining in the Chief Judge’s dissent. This week they filed another petition asking for the full federal appellate court to review the decision, essentially extending the legal battle. Caucuses do have their problems, said BYU professor Chris Karpowitz. For one, they have much lower turnout compared to primary elections. Karpowitz’ research has also revealed a gender imbalance among elected delegates. While women account for about half of caucus attendees, he said, they only make up about a quarter of delegates. There's another issue. “The current caucus system is not giving us a representative sample of Republican views in Utah,” Karpowitz said. There are a few recent examples of that disparity. Freshman Congressman John Curtis did poorly at the GOP Convention in his special election last year but defeated former state lawmaker Chris Herrod, the delegate pick, by a landslide in the Republican primary. Even Gov. Gary Herbert underperformed at the 2016 Republican convention. He was forced into a primary with his right-wing challenger, Jonathan Johnson, where Herbert pulled off a massive win with 72 percent of the vote. Republican delegates will meet in their state convention on Saturday, where more moderate candidates like John Curtis — and maybe even Mitt Romney — could have trouble rallying delegate support. But both candidates have already secured a spot on the primary ballot by gathering signatures. Certainly, with another round of possible legal fights and an opposing ballot initiative on the horizon, Republicans want to make this year's convention count. 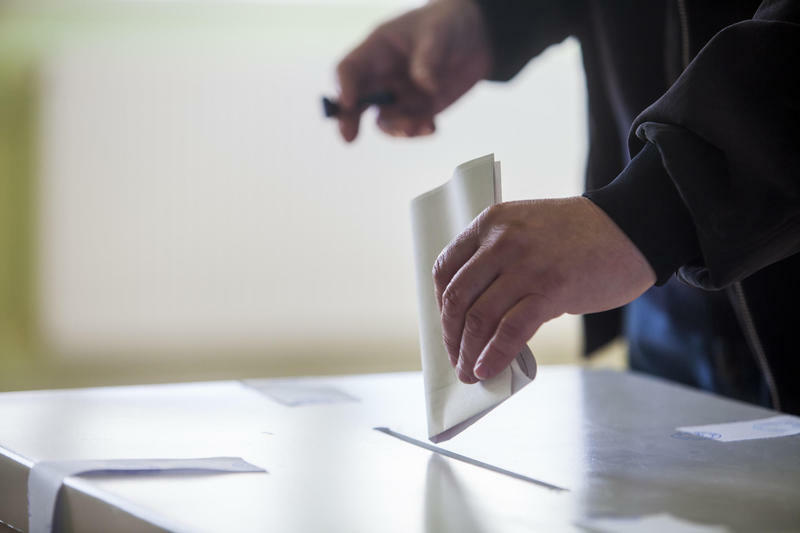 A proposal to allow political parties to reduce candidate options to the primary ballot received its first approval in the Utah Legislature Tuesday. 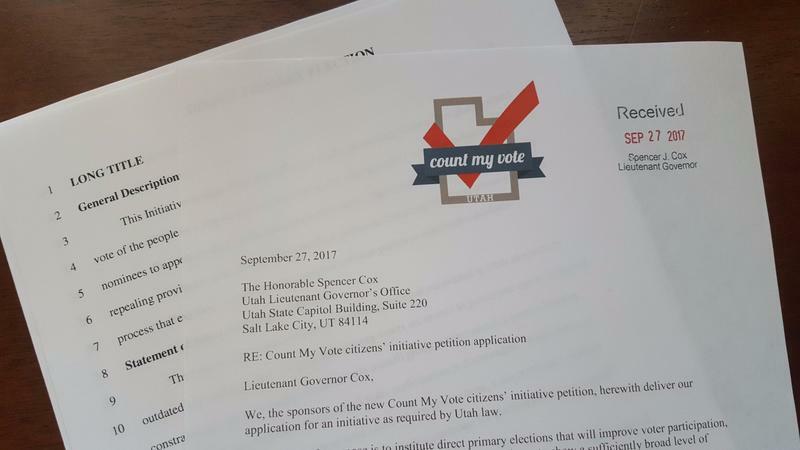 The chair of Utah’s Republican party says it will now be up to the public to decide on a direct primary system after the re-launching of the Count My Vote ballot initiative.